Dar Si Hmad is proud to announce that several of our Environmental Youth Ambassadors have formally joined the Team as part-time staff. We continue to be impressed by these young people's professional skills as well as their dedication to cross-cultural exchange, sustainable development, and community empowerment. Mahdi Lafram joined us last fall to help us prepare for the twenty-second session of the Conference of the Parties to the United Nations Climate Change Conference (COP22) held in Marrakech. Mahdi grew up in Oulad Teima, a small town outside of Agadir. He did extensive volunteer work as a teenager where he learned a lot and was inspired to continue his work in NGOs. He received a scholarship as a Youth Leader from the US Middle East Partnership and was able to visit the US for an intensive training. 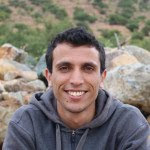 In 2015 Mahdi was a RISE program participant and impressed the staff of Dar Si Hmad so much with his dedication and drive that he was hired soon after. He is currently pursuing a Master’s degree at ENCG. After winning the UNFCCC Momentum for Change Award, the organization is currently undertaking various new projects and taking its operations to the next level, especially with the award-winning fog harvesting project. We are upgrading our fog nets to CloudFishers, next generation fog-collection technology designed by our German partner WasserStiftung. The increased productivity from these nets will allow us to connect 8 more villages to the grid. To face the new objectives and challenges, we recently hired Salma Edrif and Abdelhaq Ait Boulhous. Formerly part of the Environmental Youth Ambassadors (EYA) program, Abdelhaq and Salma participated in the 2015-2016 RISE professional development program before doing a summer internship with the organization. Those internships led to ambassadorial work at COP22 and their current positions in the Agadir office. 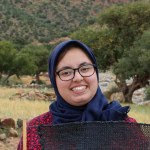 Salma is currently studying for a Master’s degree at the Ecole Nationale de Commerce et de Gestion in Agadir, majoring in Finance and Accounting. 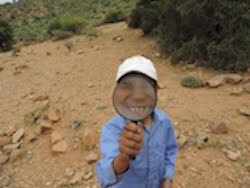 She was born in Safi but lived in 7 different regions all over Morocco. During university, Salma cofounded the Hanmate Korean Culture Association and was an active member in various social projects in Southwest Morocco. 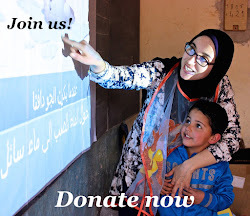 Salma will be working as an Assistant to Executive Director. She will be hunting for funding opportunities for Dar Si Hmad’s future ambitious projects. Abdelhaq is a recent graduate with a Bachelor’s degree in Management from Université Ibn Zohr. He has strong interests in information technology, photography, and videography. 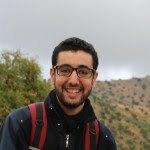 Abdelhaq is the new Information Technology Coordinator and will be controlling and maintaining DSH’s IT material and media. He will be covering DSH’s events, managing and organizing the library, and reporting as an assistant during the new RISE program sessions. Welcome, Salma and Abdelhaq! We look forward to strengthening our projects and extending our impact with you.